Not only do Willow Street Optics and Dr. Wendell Stoelting, P.C. 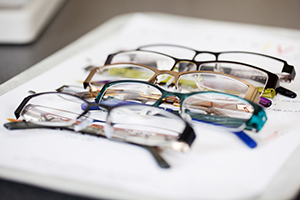 offer a variety eye care services, but they also offer a large selection of eyewear products. Visit the office today to see their selection of contact lenses and the finest products to keep your contact lenses in excellent condition. Eyewear accessories, such as the very popular Fitovers, and visual aids are in stock. With over 1000 eyeglasses in stock in their fashionable dispensary, you will receive the finest eyewear available. Quality eyewear and affordable prices complete with expert personnel are available just for you. Visit the “Glasses and Contact Lenses” page to learn more.